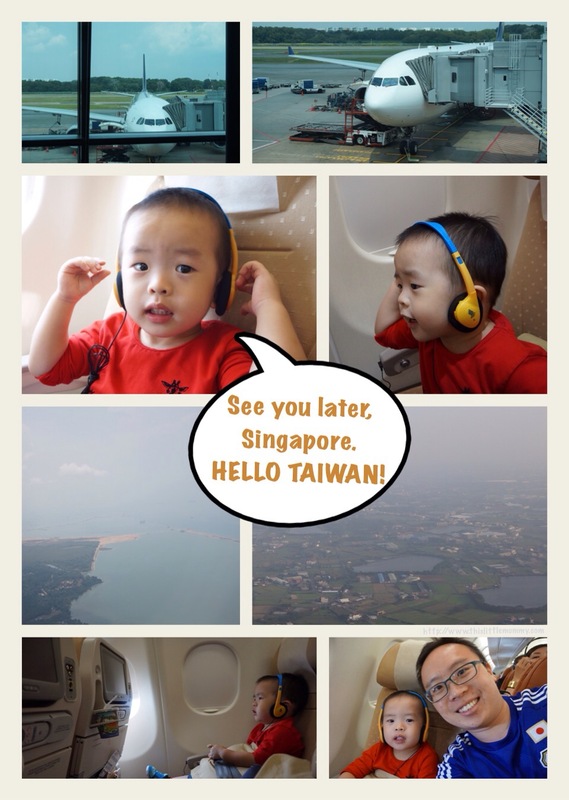 Hello, Taiwan! See you later, Singapore! Ted’s first airplane ride was better than we had hoped. He was given a colourful headset which he enjoyed playing with even before it was plugged in, and they gave him a little deck of cards with which to play. We had bought him an adult ticket (or at least it cost the same as our adult tickets) so it seemed there was no option online for a kids’ meal. As a result, he was served the regular adults meal although they will serve him before they push the food trolleys out. That worked fine for us, although I am keen to find out what they serve children on airplanes. I will take note to request for a kids’ meal next time.